This ABC glossary consists of an alphabetical list of the overview in this website with an [abc] icon marked text, words, names, or photos. By clicking on the icon you are immediately led to more background information, explanation, justification, and/or source on the linked item. A.I.P.E.T.H.O.A.C. is the abbreviation for Association Internationale pour la Promotion des Engins Techniques et Historiques comme Objets d'Art et de Culture. The Aipethoac is an association whose purpose is to bring together enthusiasts of Earthmoving equipment, mining, forestry, transportation, etc ..., new and old, as well as scale models. The [abc] icon is placed behind a name, text or image and links you immediately to the ABC library. 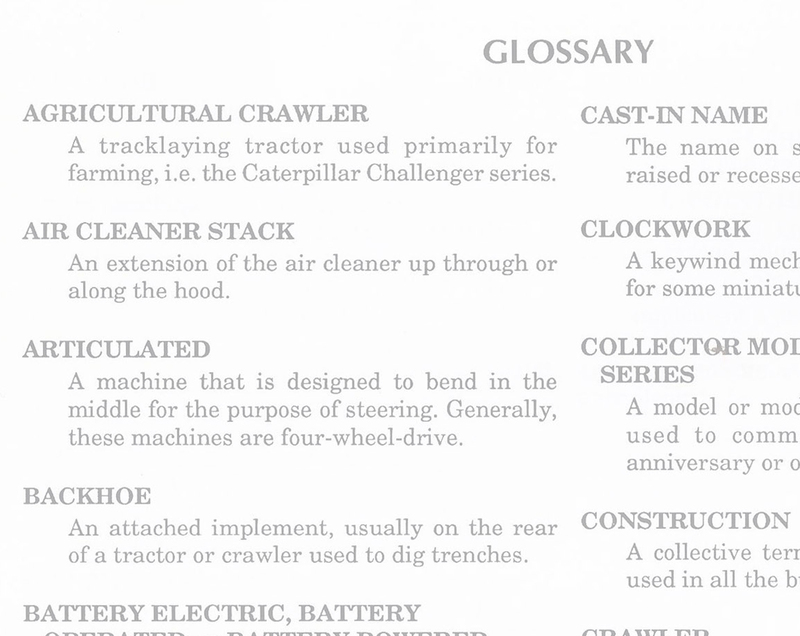 ACMOC is the abbreviation for The Antique Caterpillar Machinery Owners Club. ALN maquettiste is formed by Alexandre Le Nevé. The Frenchmen is a true craftsman designer, custom scale model builder and maquettiste. His main focus are exclusive and unique one of a kind (Caterpillar) scale models on request. An Articulated machine is designed to bend (= articulated) in the middle for purpose of steering. Caterpillar uses this technic for example in their current ADT (Articulated Dump Trucks) "700" series. Barber-Greene founded in 1916 by American mechanical engineers Harry H. Barber and William B. Greene, was a company formed to sell standardized material-handling machines to mechanize small manual tasks in an economical way. It is best known for its contributions to the asphalt field. Based in Preston, Lancashire they have been manufactured continuously in the UK since 1941. Caterpillar acquired Barber-Greene in 1991. Another company based in England, named BGP-group, began marketing a line of machines in the U.K. These machines carried similar design cues and model identification to the old Barber Greene models and have since undergone several upgrades and BGP-group continues as an independent company. Bauma is the International Trade Fair for Construction Machinery, Building Material Machines, Mining Machines, Construction Vehicles and Construction Equipment. Giant machines on 605,000 m² of exhibition space with more than 3,400 exhibitors and around 580,000 visitors—bauma is the largest and perhaps the most impressive trade fair in the world. However, the undisputed leading international trade fair is also enthralling because it is so comprehensive. It features all sectors, all market leaders and plenty of innovations. Held every 3 years in Munich, Germany. Next date: 08-14 April 2019. Margreeth, Yannick, Ad, Graham, Huub, Daniel W., Piet, Brandon, Kees, Sander, Gary, Steven, Urs, Thomas, Richard, Eric O. and Ken. BouwMachines is THE monthly magazine for the earthmoving, civil engineering and demolition and recycling sector buyers and users of construction equipment supports in the successful running of their business. BouwMachines differs from other trade media by not only reporting on new machines also highlight the entrepreneurial and business side of working with 'cold steel'. The pay off in three words gives exactly the core brand again: BouwMachines is "enterprising in construction equipment'. CONEXPO-CON/AGG 2017 is the international gathering place in 2017 for the construction industries. Held in Las Vegas, USA, every three years, the exposition showcases the latest equipment, products, services and technologies. CONEXPO-CON/AGG will represent an immense unveiling of all the newest equipment, technology and product breakthrough in construction. From earthshaking big iron to groundbreaking innovations, it’s all assembled in one place to help you work smarter. CONEXPO-CON/AGG 2017 March 7-11th, 2017. If it’s new, it’s here! Carol Westerhoff builds and rebuilds miniatures in scale 1:50 and his preference is mainly for trucks, heavy haulage transport and Dutch Defence vehicles. Caron Compactor is an American company which is founded in the late 1960's and since then Caron Compactor has provided landfill operators with quality traction wheels, tracks and pin-on teeth for more almost five decades. Caron Compactor is the industry leader in compaction innovation. Caterpillar is a leader in technology and is the world's leading manufacturer of construction and mining equipment, diesel and gas engines and industrial gas turbines. Caterpillar Conversion Table helps you quickly to convert the United States customary units voor distances and volume to the Metric system. Creatpshop is a small French company which produces limited series models of rare and special road construction machinery, trucks and accessories which you might see if you travel across the French roads. 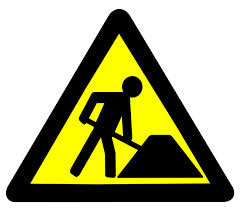 D1 is the smallest power to move ground: the spade each operator has on board to clean his machine. Dirtboy's Customs is formed by the American custom builder Jay Roltgen. His main focus is creating custom add-on's and Worktools for 1:50th scale construction models mainly (Caterpillar) Track-Type Tractors. Small series, often as kit, made of Metal, Photo etched or 3D printed material, which can be ordered directly through Shapeways, which add an extra dimension to your Caterpillar scale model. Eric C. Orlemann is author or co-author of Caterpillar books concerning earthmoving equipment. FOGS is the abbreviation for Falling Object Guard Structure and the name Caterpillar uses for their certified Cab Guard, which can be mounted directly to the ROPS-cab. GL3D Models is a Dutch fellow collector and custom builder who developes 3D printed scale models from mainly Golden Oldies. Besides Caterpillar are other classics from brands such as Poclain, Åkerman, Ford and Richier already emerged from his 3D printer. HCEA is the abbreviation for The Historical Construction Equipment Association. The HCEA is a non-profit organization dedicated to preserving for public education the history of the construction, dredging and surface mining equipment industries. HIGRO is Dutch and stands for HIstorisch GROndverzet which can be translated to "Historical Earthmoving" and is a anually held Event in Schaijk, The Netherlands. Hermann Müller Modellbau is a German custom scalemodel builder and he developes and produces unique handmade construction equipment and worktools in 1:50th scale in short runs. Huub van Dijk is the man in charge of the Dutch websites Bouwmachinesvantoen and Bouwmachinesvannu. Loads of photos waiting for you. IMC Models is a scale model manufacturer specialised in cranes, heavy haulage and earthmoving equipment. The manufacturer based in Houten, |The Netherlands, produces handcrafted scalemodels with a lot of passion and “enjoy the little things” as their motto. 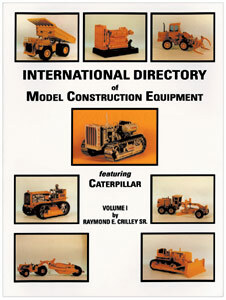 International Directory of Model Construction Equipment is the ultimate reference for the collectors of Caterpillar scale models and replicas. Jac Rijk: The world is their playground. Jan Hildebrand is a German custom scalemodel builder and he developes and produces handmade attachments for Excavator models in 1:50th scale in short runs. Ken Rudenski is the driving force behind the website SoCalEarthMovers.com: Go and see! Ken Wheeler is an American custom scale model builder and the man behind Kens Custom Models. His main focus are Caterpillar Construction, Work Tool Attachments and parts in 1:50th scale. He is specialized in airport snow removal, demolition, land clearing equipment and heavy haul truck tractors. LGP is the abbreviation for Low Ground Pressure. The showpiece is the MATEXPO Demo zone, a site of more than 3ha where the visitor can see continuous demonstrations and can test the machines out for himself. There is also a challenging circuit for trucks. The 37th edition of the MATEXPO will take place from 13 to September 17, 2017. Making of... or "behind the scenes" we will show you how unique "one of a kind" custom and small series scale models are being created. Each builder leads us through his construction process with photos and little notes so you will see gradually how a prototype or a completely scratch built "one of a kind" custom scale model will be achieved. NZG is the abbreviation for Nürnberger Zinkdruck Guss Modelle GmbH. NZG has released Caterpillar scale models from 1970 to 2005. Neil Dillon is a Irisch custom Caterpillar scalemodel builder. His main focus are Scrapers and Track-Type Tractors. OEM (pronounced as separate letters) is the abbreviation for Original Equipment Manufacture. Only to name a few OEM’s using Caterpillar: Vermeer, Oshkosh, Roadtec, Haulmax and Tiger. Scale models from those OEM’s can be found in my Collection category “PoweredbyCat”. Oshkosh Corporation designs and builds the world's toughest specialty trucks and truck bodies and access equipment by working shoulder-to-shoulder with the people who use them. As OEM they have a broad product range which is powered by a Caterpillar engine. Scale models from Oshkosh can be found in my Collection category “PoweredbyCat”. Otter Bro Customs (OBC) is formed by Chris, Jim and Gary Otter. All three brothers are very talented custom scale model builders. Their main focus are small runs and unique one of a kind (Caterpillar) scale models on request. Padfoot drums offer superior performance when compacting cohesive and semi-cohesive materials. The drum features pads arranged in a chevron pattern. Caterpillar held its inaugural Power Parade at Marquette Heights, Illinois, in 1964 and later at Edwards, Illinois both in the USA, in 1973, 1978, 1988 and 2000. These expositions showcased the new Caterpillar product line, as well as the skills of the equipment’s operators. Each Power Parade contained up to 28 shows over a two-week period and more than 100,000 people attended. QR code (abbreviated from Quick Response Code) is the trademark for a type of matrix barcode (or two-dimensional barcode) first designed in 1994 for the automotive industry in Japan. The Quick Response (QR code) system became popular outside the automotive industry due to its fast readability and greater storage capacity compared to standard UPC barcodes. Applications include product tracking, item identification, time tracking, document management, and general marketing as on websites. Do you want to kept informed on you smartphone of the latest MiniMovers news about Caterpillar scale models? 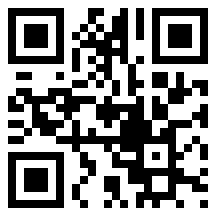 Use the www.minimovers.nl QR code! ROPS is the abbreviation for Roll-Over Protection System. 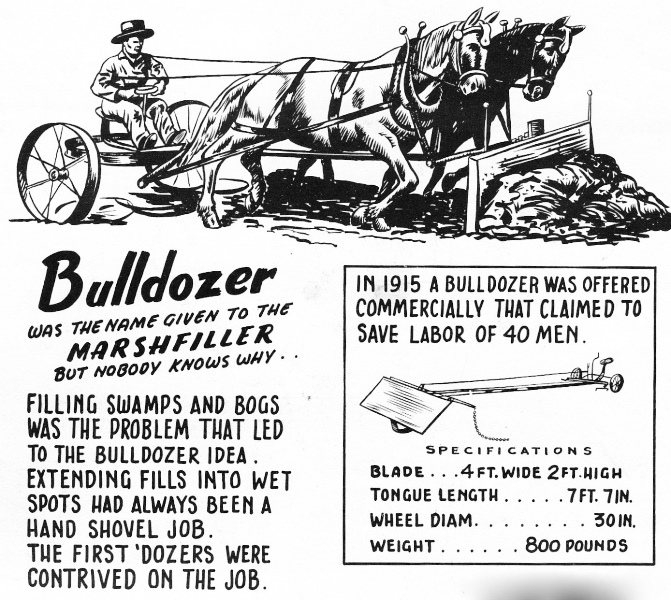 A Ripper is a shank-like blade used to tear up a surface, usually mounted on the rear of a Track-Type Tractor. Rod Cross is an American custom Caterpillar scale model builder and the man behind Rod Cross Toys. His main focus are Track-Type Tractor, Pipelayers and Attachments & Worktools in both 1:25th and 1:50th scale. A sheepsfoot compactor is a piece of equipment that consists of a roller, or drum, that has raised pegs or pads on the surface. Rollers are also used in landfill compaction. Such compactors typically have padfoot or "sheep's-foot" drums, and do not achieve a smooth surface. The pads aid in compression, due to the smaller area contacting the ground. Shiphold or abbreviated "SH" as an addition to the machine type stands for a Caterpillar Track-Type Tractor or Track Loader specially designed for shiphold bulk material handling. An optimal combination of traction, high reach and balance of the machine makes these Caterpillar Shiphold Track-Type Tractors or Track Loaders ideal for work in Shipholds and ports. With special equipment such as a Pin-on multi purpose bucket or Pin-on trim blade for all material they can scrape ship's walls and process all kinds of materials during the loading and unloading work in the ship's hold. The Heavy Duty Bumper gives outstanding protection for the rear of the machine and Lifting eyes located on the frame provide easy lifting of the machine in and out of the shiphold. Shows & Exhibitions is created to give you the opportunity to sit back and relax and enjoy the (photo)reports of construction trade shows & swap meetings and exhibitions from both Caterpillar Equipment and scale models. On this page you will find a growing list of (photo) reports Shows & Exhibitions. Enjoy reading & watching! The Dutch Technische Kontakt Dagen (TKD) brings large and small players in the field of earth moving-, recycling equipment and related specialties together, so you can compare and test. The TKD takes place in Almere the Netherlands from May 31th to June 2th, 2018. Thomas Wilk author from the books "Caterpillar Seventy Five Years", "Caterpillar D9-D9R" together with Urs Peyer and co author from "Das Tagebau Buch", involved with magazine "BAGGERMODELLE" and an very talented photographer. His own company TCC creates beautiful full color calendars of new and classical construction equipment. TowHaul is the brandname for TowHaul Corporation dba Smith Equipment USA, which designs and manufactures custom heavy duty off-road trailers that decrease costs and increase mobility in open pit mines around the world. Trackson Company commenced business in Milwaukee in 1922 and built tracked attachments for tractor manufacturers. The early Trackson tracked attachments were popular on tractors used for road grader power units, as well as for tractors used in poor ground conditions. Truck in the Koel is a anually held Event in Brunssum, The Netherlands on historical Earthmoving Machinery, Trucks, Tractors and Trailers. Urs Peyer is co-author from the books "Caterpillar D9-D9R" and "Das TAGEBAU Buch", involved with magazine "BAGGERMODELLE" and an outstanding custom scalemodel builder. WH is the English abbreviation for Waste Handler that Caterpillar adds behind the equipment type to specify that these machines are specifically designed for waste handling and landfill debris environments.